Dr. Mark Miller earned his Doctor of Podiatric Medicine from Temple University, and holds professional licenses in California and Nevada. 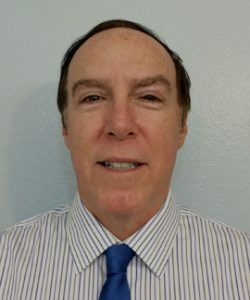 He serves on the San Diego County Podiatric Medical Society, and is a member of the American Academy of Podiatric Sports Medicine and the American Podiatric Medical Association, among other distinguished associations. He was formerly the Senior Chief Podiatrist at USAF, Nellis Air Force Base in Nevada.